Dr. Howard's patients are part of our Plastic Fantastic Family. We promise to treat all of our patients with complete confidentiality and respect. We understand your decision to have cosmetic surgery is very private and personal. You can expect your initial consultation with Dr. Howard to include a complete medical history, photos will be taken, and you will meet with Dr. Howard in person. Dr. Howard's nurse will review your medical history with Dr. Howard to help develop a special surgery plan for your needs. An official government issued photo identification is required by our office at your consultation. Our patient coordinator will conclude your consultation by providing a detailed surgical quote and review available surgical dates around your schedule. You can expect to be at Dr. Howard's office for approximately an hour. For your convenience, Dr. Howard does not schedule multiple appointments at the same time. He and his Plastic Fantastic office staff believe in providing personalized and quality patient care. Surgery dates are granted on a first-come-first-served basis. Regrettably, surgery dates cannot be held without first meeting with Dr. Howard for an initial consultation. Some exceptions can apply for those patients travelling from long distances with prior arrangements being made by Internet, telephone, video conference and/or mail. A $500 deposit is required to hold your surgery date. Coming to Birmingham for your facelift consultation and procedure is very convenient. Located in the heart of Birmingham suburb, Hoover, the area amenities are plentiful for a pleasant stay. 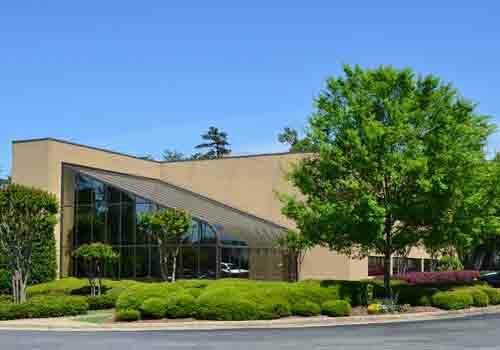 Dr. Howard's plastic surgery office is located off Highway 31 just North of the Galleria shopping mall, Hyatt Regency hotel, and an array of other hotels, a large variety of restaurants, indoor activities for the outdoorsman, and an IMAX theatre. Dr. Howard's office is located on the first floor of the Hoover Medical Plaza, offering plenty of parking and a discreet alternative back door for day of surgery exit or VIP courtesy. Take the Hoover Highway 31 Exit by the Galleria, go North on Highway 31 until you see a Krispy Kreme on the left and a Full Moon BBQ on the right. Turn right onto Patton Chapel Road. Hoover Medical Plaza is the first building on the left. Dr. Howard's office is located on the first floor at the end of the hallway. Take the Hoover Highway 31 Exit, Go South on Highway 31. Travel approximately one mile until you see a Krispy Kreme on the right. Turn Left onto Patton Chapel Road. Hoover Medical Plaza is the first building on the left. Dr. Howard's office is located on the first floor at the end of the hallway.